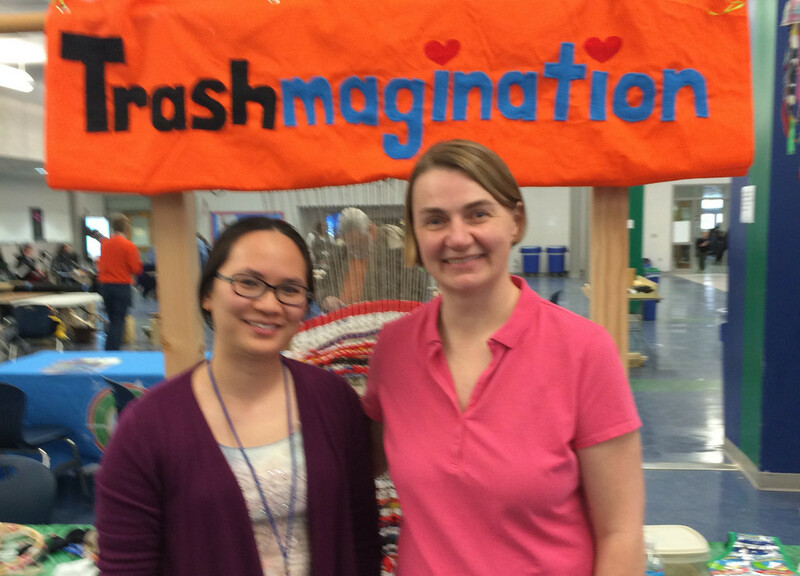 Trashmagination was weaving trash at the 2015 NoVA Mini Maker Faire in Reston! I was honored to have three friends volunteer – Louisa Tran, Karen Lee and Marna Louis. 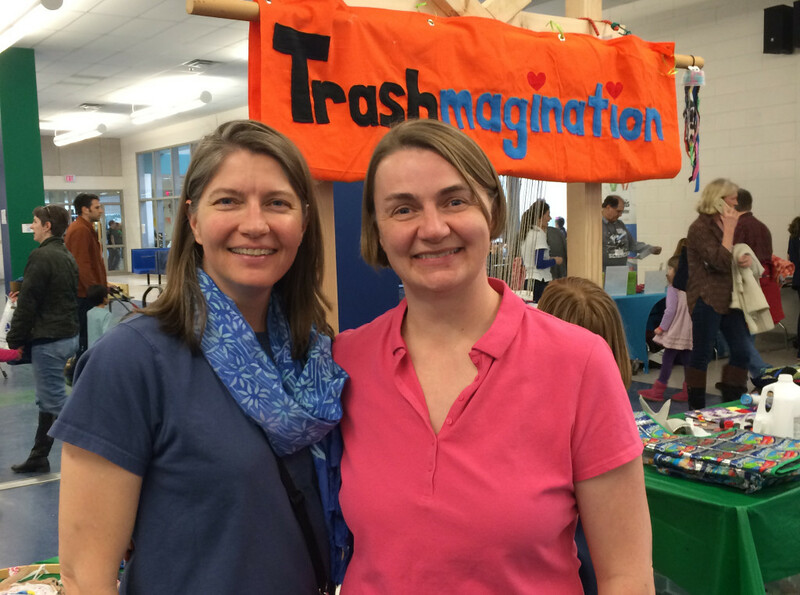 These three women come from all completely different parts of my life, which shows how Trashmagination is a journey filled with people who will give you positive energy out of the blue! They all brought their lovely energy and patience working with our new weavers. Thank you Karen for volunteering & being a happy crafter with me! Thank you Marna! It was such a fun way to catch up! 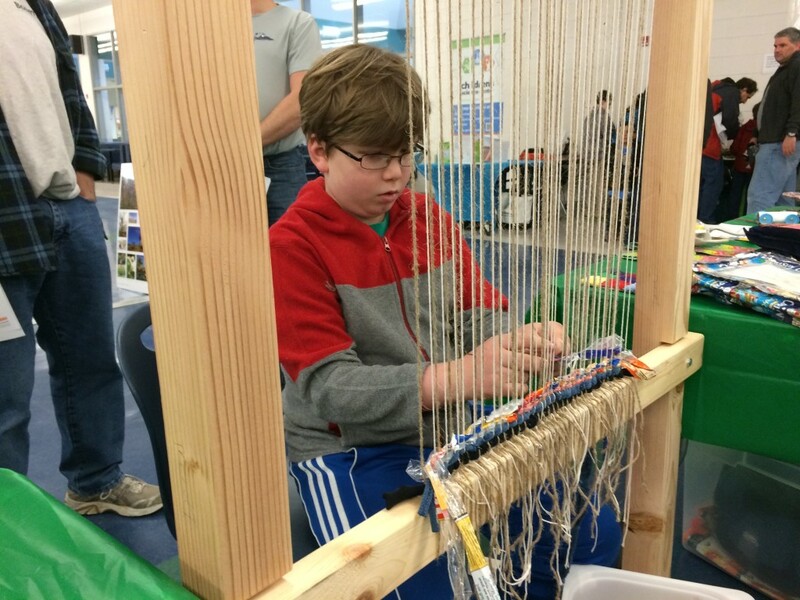 I am SO grateful to my husband Bob, for suggesting that the Story Loom would be a great Maker Faire activity, and then he made the loom. 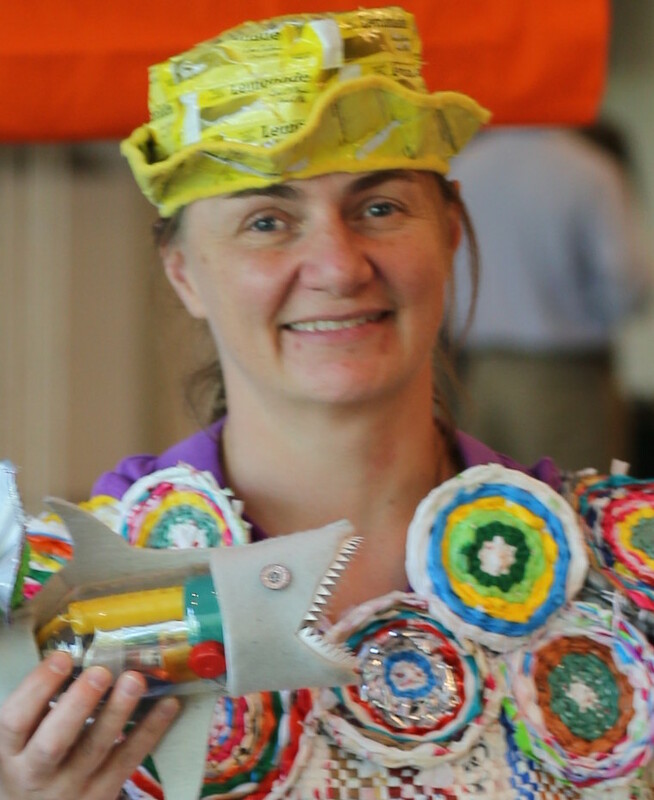 It was really so much fun to share weaving trash with 4000 people. 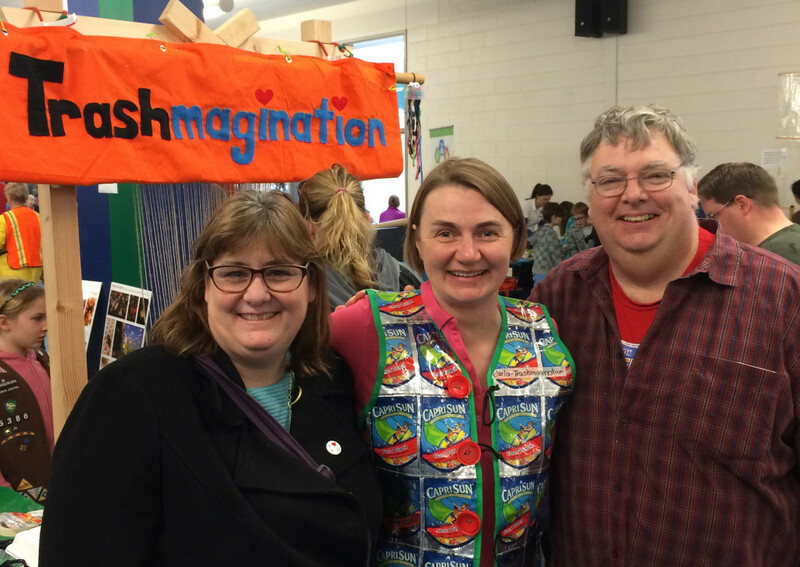 The biggest surprise of the day was looking up to see two dear friends who had traveled from Delaware to see the Maker Faire! I met Jeff and Jesse Hanlon many years ago at Family Nature Summits, and they have always been supportive of my green adventures. Jeff drilled many plastic caps for me for crafts, and has been bugging me for years to get a drill press. 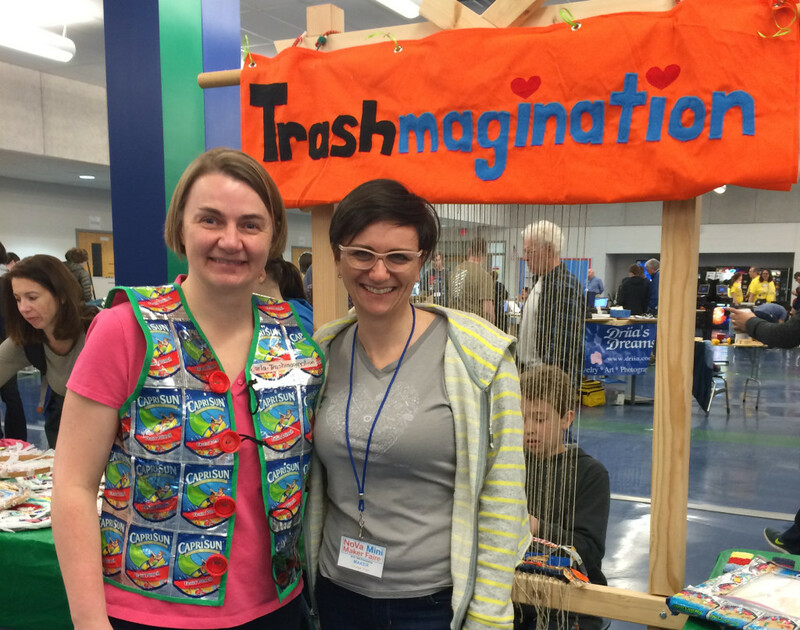 I was touched that they came all this way to show their support of Trashmagination! Jesse & Jeff visit from Delaware! 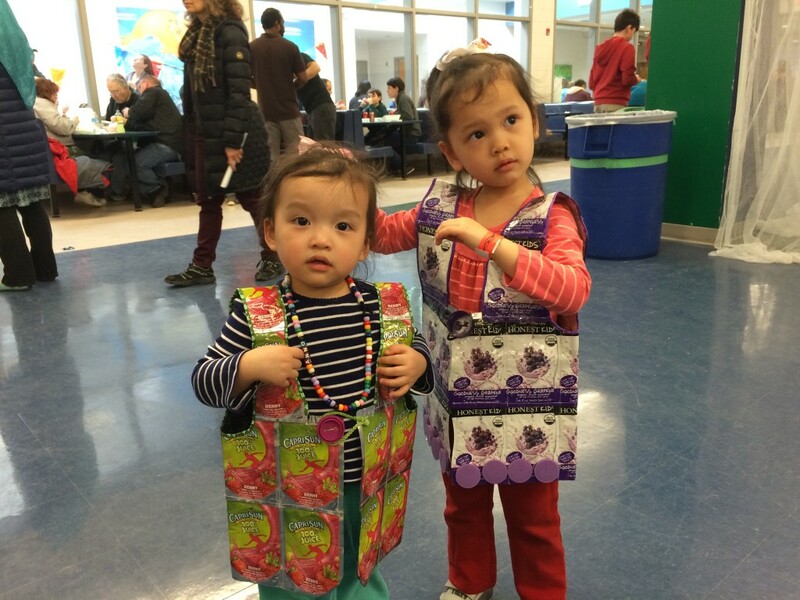 The day was filled with adorable expressions as the kids tried on the juice pouch vests, wove trash into our masterpiece or discovered the many uses of milk jug plastic. 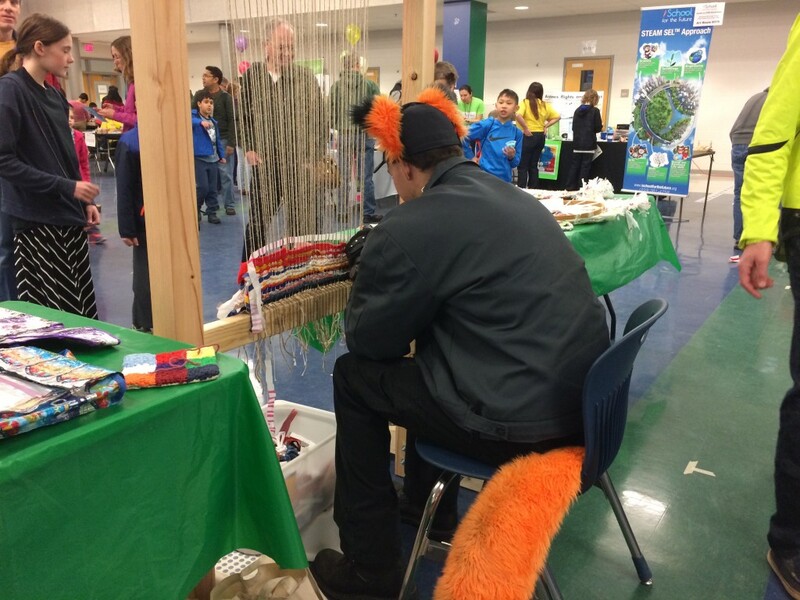 We even had a fox come weave! Yep – that’s why I do it! 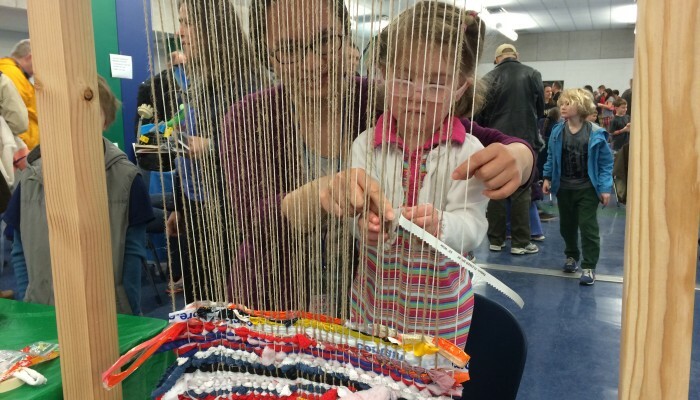 Thanks everyone for weaving! 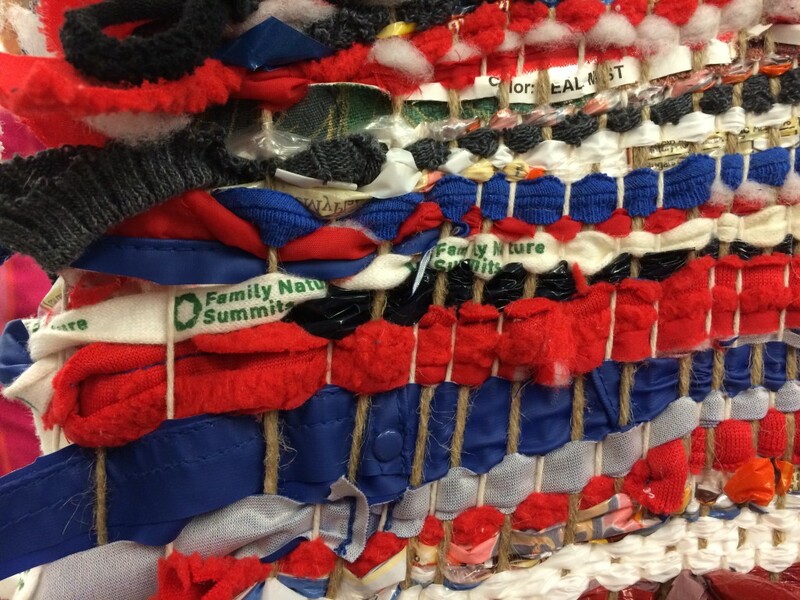 I will work this week to tie the edges of our weaving & prepare it for hanging at the Nova Labs Maker Space. I’ll post a photo when it’s ready. 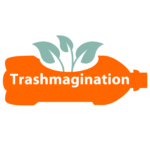 Be sure to Like Trashmagination on Facebook to see the finished weaving and the Trashion Fashion dresses.